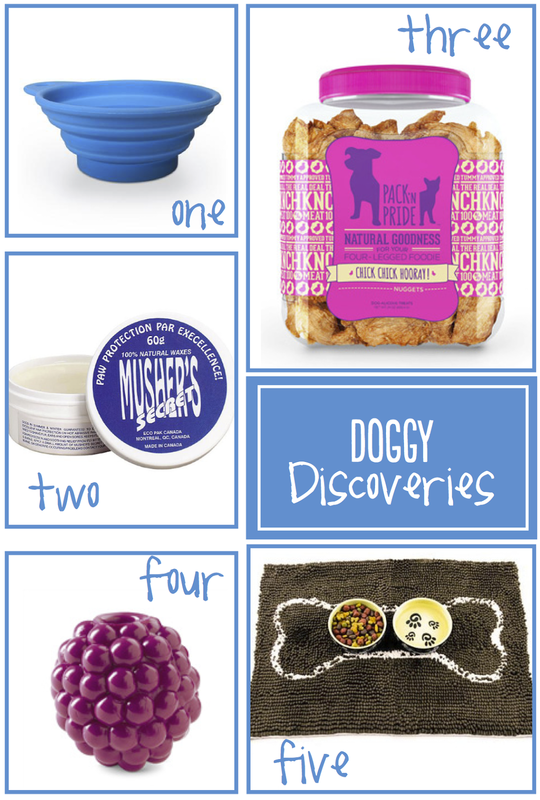 When it comes to dog products I am completely out of the loop. Jack is my first pet, and therefore I don’t know a lot of pet brands. So I spend a lot of time online reading reviews, searching and researching. I have discovered some great companies in the process and thought I would share some of my favorites with you. Don't forget to leave a comment with your favorite pup products. • Perfect for the pet owner that travels or walking adventures. • Lightweight, durable and comes with a pouch to keep the bowl clean. • Collapses making carrying easy. • Protects pads from hot concrete and bitter cold conditions. • Prevents potential paw problems such as bruises and blisters, cracking and abrasions. • If you have a dog you MUST own this product. This product is not even on the market yet, but should be soon and I cannot wait to have Jack try it. • 100% antibiotic free treats. • Graphic Designer previously worked for one of the hottest fashion brands: Tory Burch! • Smells like mint to help attract the dog . • This one is perfect for small dogs, but they have ones for larger dogs as well. • Cuter version of a Kong. • Absorbs 5x more water than regular placemats. • Quick-drying, remains odor & bacteria free. I love cute doggy stuff like this! Cute. I'm a huge dog lover. This is great for our puppy's birthday. I need to get the mushers secret- I have a feeling Layla isn't going to like the hot pavement this summer.